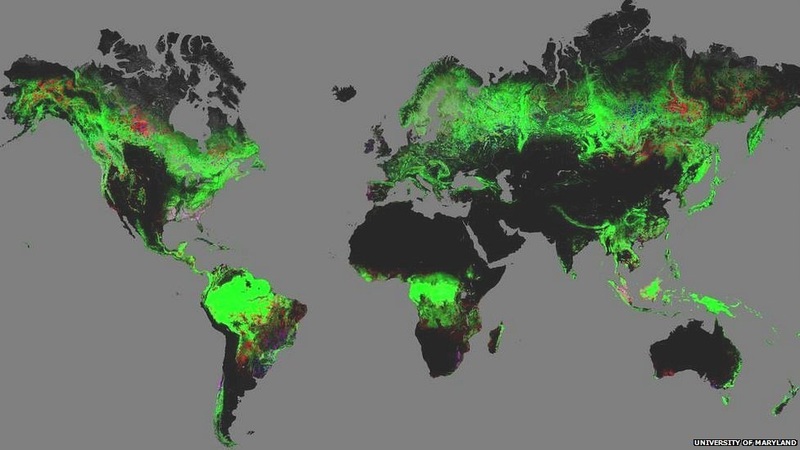 What & Where are the global Biomes? Objective: To understand what a biome is, how it differs from an ecosystem and how biomes functions and their global spatial distribution. Starter: Watch this three minute animation with your headphones on. The world is made up of many different biomes. Biomes are large regions of the world with similar plants, animals, and other living organisms that are adapted to the climate and other conditions. Within each biome, the living organisms have adaptations to help them survive in these sometimes extreme environments. For example, a rabbit in the tundra may have larger feet to hop on the snow and white fur to hide from its potential predators. 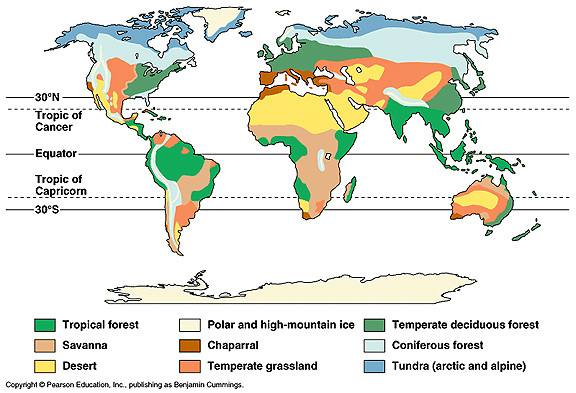 The unique climate and living conditions of each biome create wide variety on our planet. You can complete the following tasks on the worksheet on the blue tab at the top of this page. Task 1 - Write out your own definition of a biome and find a suitable image that represents it. Task 2 - What is the difference between a biome and an ecosystem? i. Describe the global distribution of both Desert and Tropical Forest biomes and name three countries in three different continents that host each (that's six in total). ii. 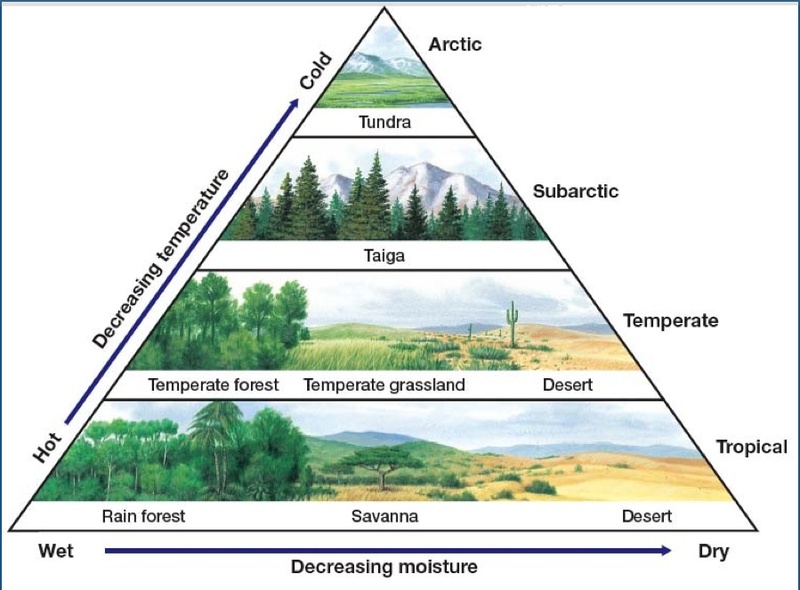 Explain the relationship between temperature & moisture and vegetation generally. How does this apply to both focus biomes? Click here to be taken directly to geographyalltheway. Complete 'Why are biomes located where they are' worksheet , proof read, spell check then print out. Objective: To find out how location & climate of tropical rainforests are interlinked and to study the biodiversity within. Starter: Watch the video about the Lyre bird in Australia to the right. How has this bird adapted to its climate and surroundings? Task 1 - Introducing Belem. Using the Google Map embedded to the right, write down a detailed location (site & situation) of the city of Belem. Task 2 - You have already had practice of completing a climate graph for Toulouse. Red line = temperature in Degrees Celsius. Click here to access the climate data for Belem. Construct your climate graph being careful to look at your maximum values carefully. Which is the hottest month? What is the mean temperature of the hottest month? Which is the coolest month? What is the mean temperature of the coolest month? What is the annual temperature range? Which is the wettest month? How much rainfall does the wettest month receive? Which is the driest month? How much rainfall does the driest month receive? Task 4 - Describe and explain the distribution of solar radiation and how this links to why the tropical rainforests are found where they are. Complete the task above using the worksheet on the blue tab below. Objective: To build up the idea of biodiversity in the tropical rainforest biome. Planet Earth DVD - Disc 3, Episode 2 - Jungles. This starts at 58 minutes 40 seconds and you need to watch to 1 hour 34 mins only. Task 2 - Vegetation and plant adaptation in the tropical rainforest. Complete the worksheet by clicking on the blue tab to the right hand side. Starter - watch the video to the right. It was created by a Geography student but gives you a five minute overview of the issues surrounding rainforest deforestation. Check out the map below. Released in November 2013, the map shows forest change from 2000-12. Green areas are forested; red suffered forest loss; blue showed forest gain; pink experienced both loss and gain. Complete the following activities on the worksheet below. The resources required to answer the question are listed beneath the map. What's the story in Brazil? There were mixed messages coming from Brazil in 2013. One one hand you have news reports like the video on the right hand side. i. Watch this video and make notes on the methods using in Brazil to slow down the rate of un-managed deforestation. ii. Then, read this BBC News article from November 2013 and make notes on the issues that Brazil now finds itself trying to combat. ​ Click on this link (page 2) and make a list of 10 common products that you use regularly that have origins in the rain forest. **Did you know that there was a documentary about this recently on UK television. Check out the trailer to the series by clicking here and look at how much was left in the family's house when everything that came from the rainforest was removed!! Watch the 'Hidden Consequences' YouTube video to the right. i. Take a screen shot from the video and annotate around the hidden consequences of everyday rainforest use by us. Target is 100 words. ii. Is this an effective way of getting the message across? Watch the second video 'Follow the Frog' Take a screen shot of a still of the video and annotate around it the key message. Target is 50 words. Objective: To find out how location & climate of tropical deserts are interlinked and to study the biodiversity within. Why do deserts form and why? Task 1 - Open the worksheet by clicking on the blue tab to the right, between both YouTube videos. Complete the activities set out using the videos to the right to help you. b. Use this image to help you annotate global locations of major deserts onto your worksheet. c. Use the image on page three to help you to explain why the Atacama desert is so dry. e. Use the 'cactus & camel adaptations' video to the right to help you to annotate your cactus to show how it has adapted to living in such a dry environment. Task 2 - Introducing Timbuktu. Using the Google Map embedded to the right, write down a detailed location (site & situation) of the town of Timbuktu. Check out the photo beneath too! Task 3 - You have already had practice of completing a climate graph for Toulouse & Belem. 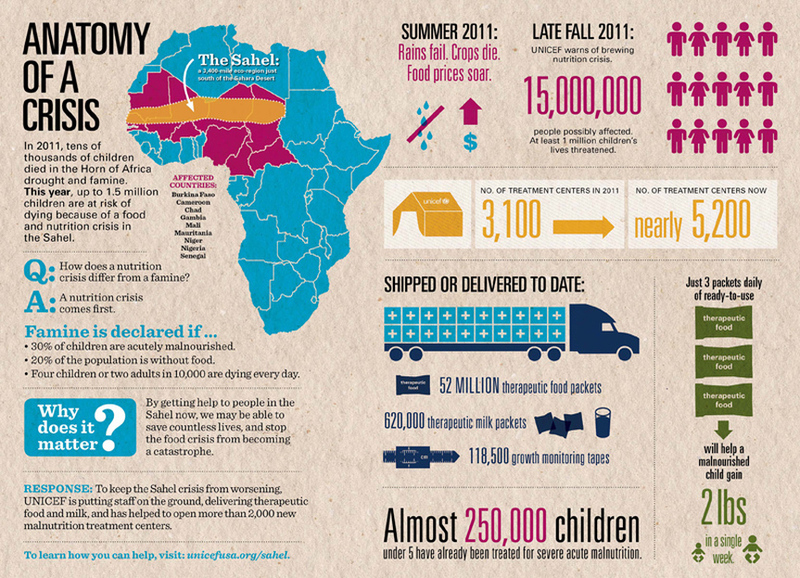 Click here to access the climate data for Timbuktu. Construct your climate graph working out the average temperature from the table. 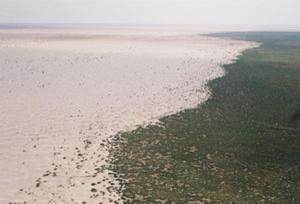 Objective: To understand how deserts spread, the causes and the implications on vulnerable populations. Task 1 - You'll need the New Wider World textbook, pages 256-258. Study the embedded presentation underneath too. Click on the blue tab below to access the worksheet. Complete all tasks as set out. Task 2 - Watch both the YouTube videos below. 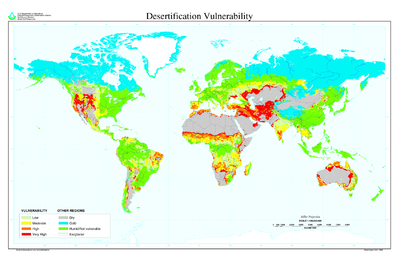 Make notes on different approaches that can be taken to reverse the effects of desertification in the Sahel region of Africa. Optional Task - Higher Level Extension Video - Watch the video below and take notes on how Allan Savory recommends that we fight desertification and reverse climate change. Objective: To build up a case study of a major drought in the Sahel. Droughts occur when a long period of abnormally dry weather leads to a severe water shortage. i. Widespread cutting down of trees for fuel. a. Describe the physical processes leading to the occurrence of a drought. Describe the distribution of severe to exceptional drought events. Task 3 - Watch the Anatomy of Sahel drought video to complete your map and physical causes of drought section of your case study sheet. Task 4 - Watch the Explaining the Sahel Drought Problem video report to the right and take notes on the environmental, social and economic effects of the drought on the countries affected. Link to iGCSE Population - How does a high fertility rate (7 children) contribute to the problems caused by drought in this part of Africa? 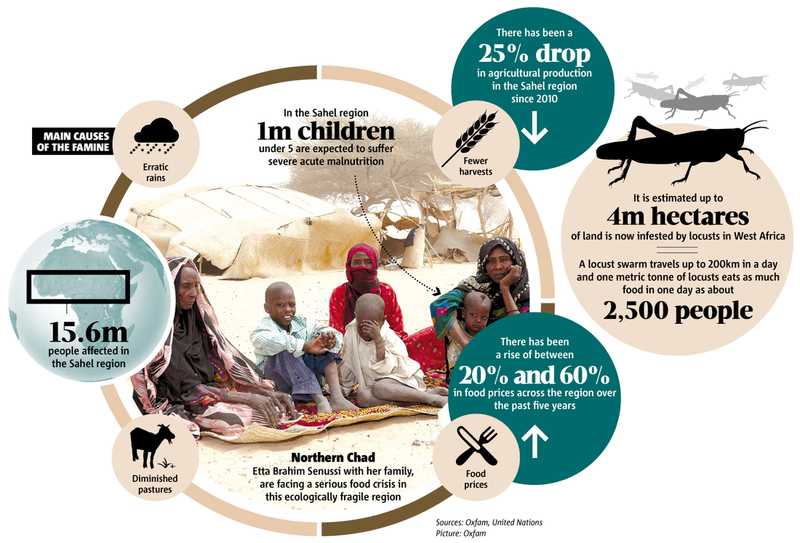 Task 5 - How can the risk of drought be minimised in the Sahel? Fill in the relevant section on your case study sheet.